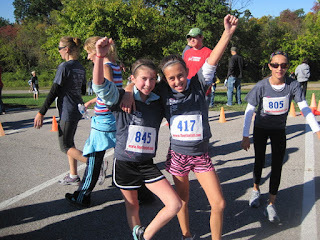 Mercy Ministries News: St. Louis Shows Support And Runs For Mercy!!! WOW! What an amazing year for the St. Louis Run for Mercy 5K and Family Walk! 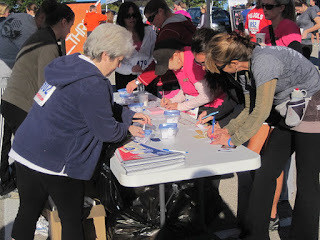 A grand total of 717 people participated in this year’s event, making it the biggest race yet! 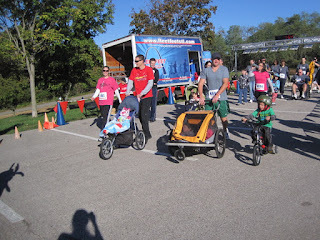 The weather was in the sixties and sunny as serious runners, families with strollers and even a participant in a wheelchair lined up at the starting line. 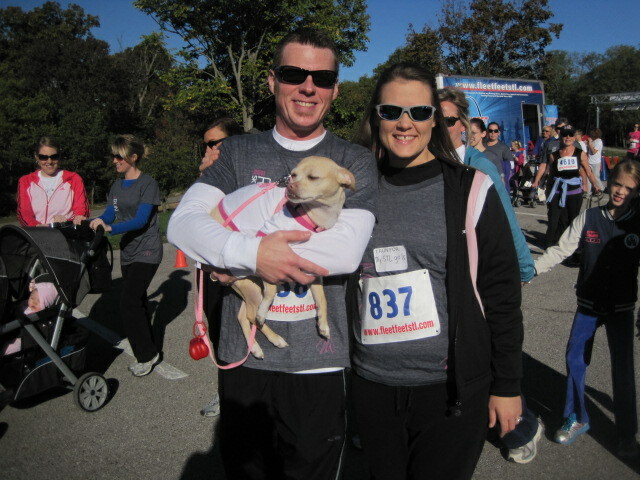 Current St. Louis resident Alleah has never been much of a runner, but felt that God put it on her heart to run every step of the 5K. 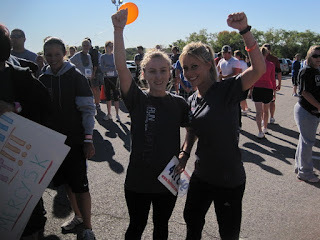 Another resident, Leah, who is a more experienced runner, ran alongside her to encourage her every step of the way. “I feel awesome,” said Alleah after the race. “The first thing I’m going to do when I get back to the Mercy home today is mark this off in my dream book. It feels awesome to accomplish this goal.” Here is a photo of Alleah (left) with Leah after crossing the finish line. It was all fun and games for the kids who participated. Thrive Church sponsored an awesome Kids Zone with games, bounce houses, balloon animals and more. After the race, awards and door prizes were handed out, including a free iPod touch. 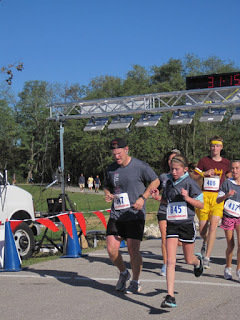 Our youngest medal winner was 12 years old, finishing in 25:40 and the two oldest medal winners, ages 79 and 80, finished in 29:19 and 34:51! 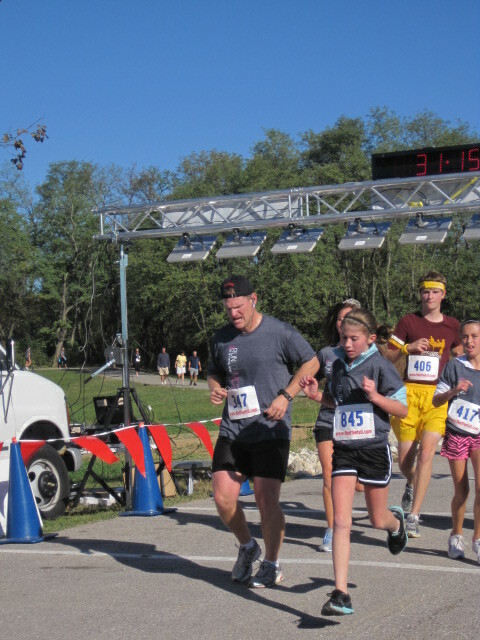 You can find all the race results by clicking here. 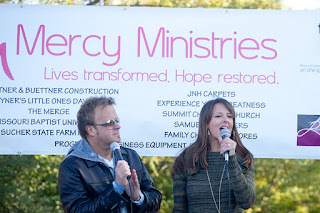 After the awards were handed out, our emcees for the event, Pastors David and Nicole Crank from Faith Church St. Louis, introduced Mercy graduate, Courtney. 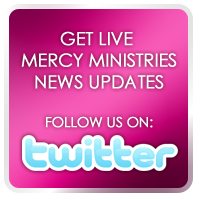 Courtney shared that before going to Mercy Ministries, she believed she was that one person who was out of God’s reach. While at Mercy, she learned how much God loves her and that His love is for everyone. She learned that she didn’t have to strive to be perfect for God, because her identity is in Christ. We would like to thank the many volunteers and staff who worked tirelessly to make this race a success. Whether you ran, walked, strolled or volunteered and cheered, you made a huge impact on the lives of the hurting young women we serve. 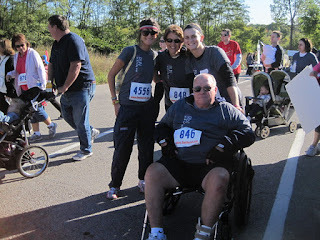 Some of our residents were out on the course participating with you and others were cheering you on, but each one of them was so excited to get to see the love and sacrifice that was poured out by you for Mercy. 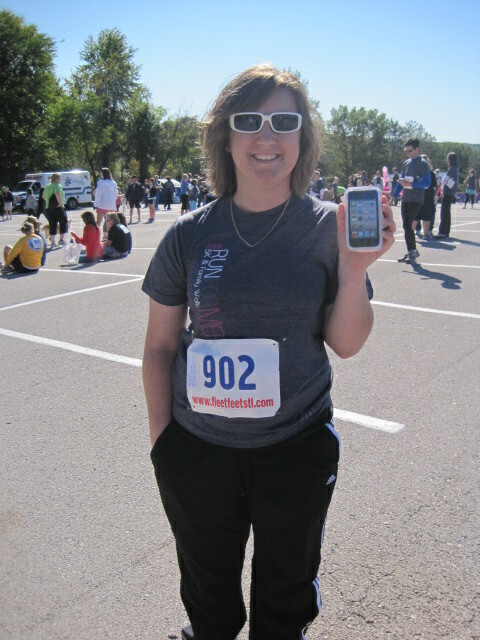 This participant won a FREE iPod Touch! Our special thanks also to sponsors 99.1 Joy FM, Faith Church St. Louis, Thrive Church, 212 Degrees of Wellness, Luecal Consulting, CHAN Healthcare Auditors, Layner’s Little Ones Daycare, Faith that Works, JHarder Photography, and Jordan Essentials. This race has raised $41,000 so far for Mercy, but our goal is $75,000! We are still accepting DONATIONS, so please continue spreading the word!! And it’s not too late for you and your family to join in the fun! 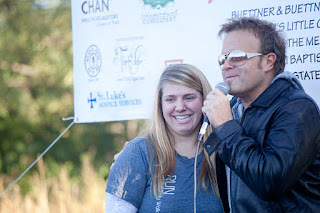 You can still Run for Mercy in Nashville, TN and Monroe, LA on Saturday, October 22nd. If you want to participate, but can’t make the trip, a great way to show your support is by signing up as a “virtual runner.” Register online at www.runformercy.org to join an existing team, form a new team or participate as an individual runner. 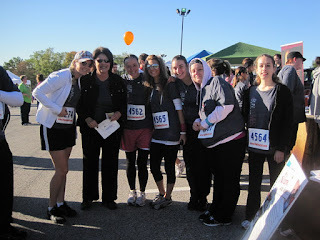 Your support helps make the difference in the lives of so many hurting young women!